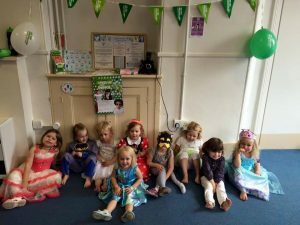 We want all our diddi dancers to put on their dancing shoes next week as our classes have partner up with Macmillan Cancer Support to get little ones moving and grooving in aid of the charity’s Dress Up And Dance campaign. The national campaign is a perfect fit for us and we hope it will see parents & children don colourful, creative and whacky fancy dress to attend our classes all next week. 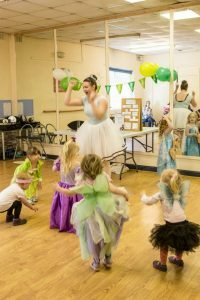 To celebrate this year’s theme of ‘heroes’, there will be specially themed classes across the UK for the whole family to enjoy including… So toddlers joining in can seek costume inspiration from anywhere such as sport to music to politics, so feel free to let their imagination run wild. Macmillan Cancer Support is a fantastic charity that provides all kinds of support to children and families affected by cancer. They help with financial worries, medical information, emotional support and much, much more. They’re also constantly campaigning for better cancer care for all because no one should face cancer alone. 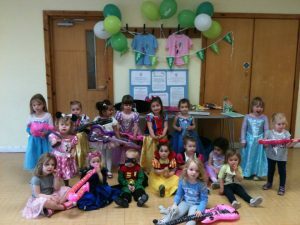 We are so proud and excited to be involved in Macmillan’s fantastic Dress Up And Dance campaign again this year, it is a natural fit with our weekly dance classes and dressing up is something that we know all our little ones and families will thoroughly enjoy. I hope we raise a fantastic amount this year! 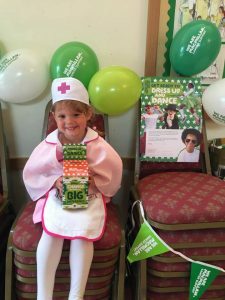 From Saturday 11 to Friday 17 June, diddi dance classes across the UK will be taking part in Macmillan Cancer Support’s Dress Up and Dance campaign. All we ask in return is a small donation of £2 for this wonderful charity. To find your local diddi dance class just click here.